Recommended Insurance Agents | Passive Income M.D. This page includes my top recommended insurance agents as of the moment. The agents listed on this page are paid advertisers on the site but have been vetted by me. I’ve spent a good amount of time to review their services involving emails, phone calls, and even in-person meetings when possible (even though some are on different coasts). 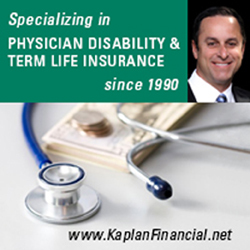 Kaplan Financial is the place to go for objective and experienced financial advice, discounted rates on individual disability insurance, and a long-term commitment of superior service. I invite you to contact Robert Kaplan, CFP® today by visiting his website at www.KaplanFinancial.net; email at robert@kaplanfinancial.net; or by calling 818.783.6620. 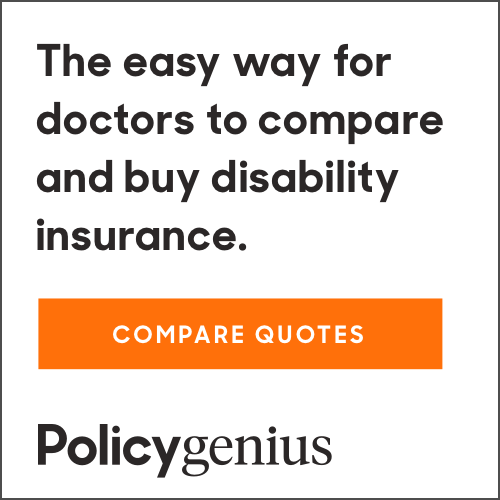 Policygenius is the easy way to compare and buy insurance online. We are changing a massive industry by making insurance shopping faster, friendlier and more transparent for online consumers. First, a lot of insurance sites are “lead generators” — meaning they’ll capture your information (like a request for a quote) and then sell it to multiple insurance brokers/agents, who in turn try to sell you. We don’t do that. 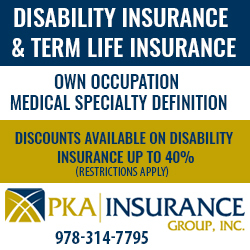 If you want insurance, we work with you personally. Second, most insurance sites don’t provide a great user experience. We built an easy to navigate site filled with great content to help you feel comfortable with your purchase. Our licensed team members know the specifics of every carrier in the industry, applicable discounts, and work closely with you the whole way. We make it easy to compare policies, and provide clear guidance during underwriting. Everything we do is designed to deliver a great experience. After you give our site a spin, we think you’ll agree. I am passionate about helping individuals protect their assets, incomes and lifestyles. This is why I started The Disability Doc. I wanted to bring something fresh and meaningful to the table! Also, I am a big fan of integrating today’s technology into the process of selecting a plan to make the process as smooth and efficient as possible. At The Disability Doc, our mission is to make the complex simple by working on your behalf to narrow down your options and create a plan specifically designed for your personal needs. We are a small team of dedicated professionals who do not work for any carrier—meaning you will never be “sold” a run of the mill policy and will never be just a “number.” With years of income protection experience, we have helped hundreds of medical professionals simplify the process of choosing a carrier that has strong financial ratings, solid plan provisions, trustworthy contract language and the best discounts available nationwide. You can feel confident knowing your policy is tailor-made to secure your financial future. 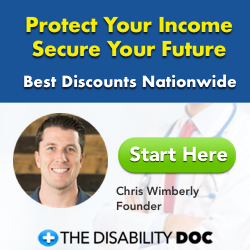 For more details visit thedisabilitydoc.com – Let’s build a plan together! To learn more about The Disability Doc, read our interview with him here. Insurance Agents – Would you like to be included on this list? Please send an initial inquiry to contact@passiveincomemd.com and we’ll set up a time to talk.